The passion for shapes is a natural fact: carefree happiness greets and welcomes the harmony of curves. Ola is the elegant encounter between concave and convex: light designs the shape and exalts the materials, for a modern and never commonplace seat, certainly perfect to show off the environment at its best. 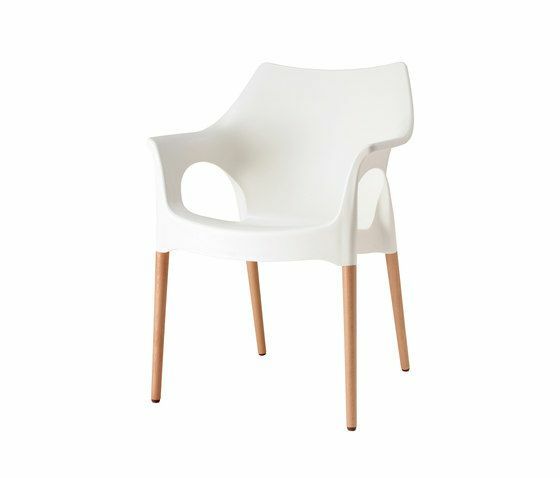 Natural Ola has linen colour recyclable polypropylene seat and backrest, natural beech legs. For indoor use, it is stackable. Dimensions: 59x54x82h cm.